Here we’ll outline for you the steps to work with us and how to ensure your data migration project goes as smoothly as possible. We want you to feel confident every step of the way, and if we don’t cover a specific question or concern you may have here, please reach out to us in the online chat and we would be happy to help! These two pieces are what make up the quote for your import. You can see the details of our pricing packages here for CRM imports and for helpdesk imports. 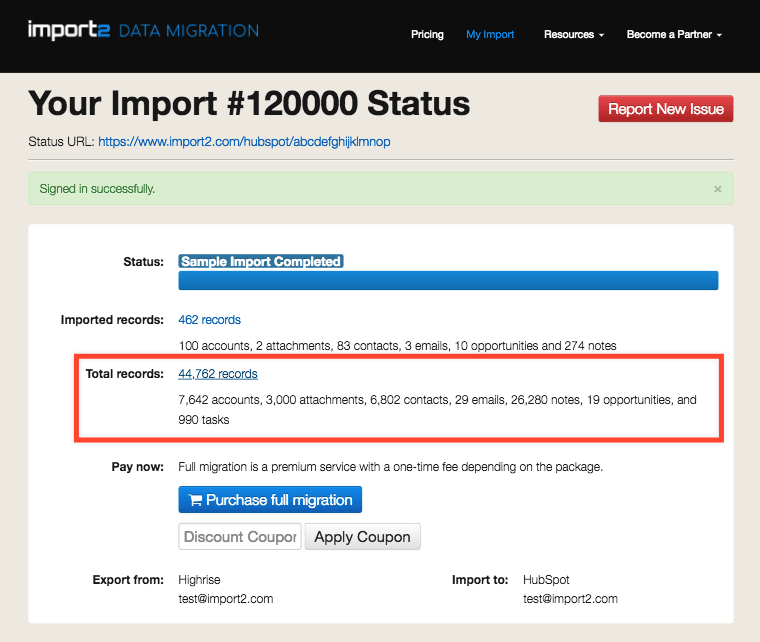 To perform the sample import, simply connect your source and destination databases, and we will import a sample set of data for you to review. This is typically done in less than 1 hour, so you can start reviewing right away! We do not affect your source database at all during any stage of the import. We use API (not spreadsheets!) to simply copy a random sample selection of records into your new tool, complete with all of the fields which are standard to both tools, so you can see how it will look with your own business data. When the sample is done, you can review the data directly in your new tool. You’ll want to check that all of the fields you need imported for each record type are there as you need them - or, identify any additional mappings you may need. 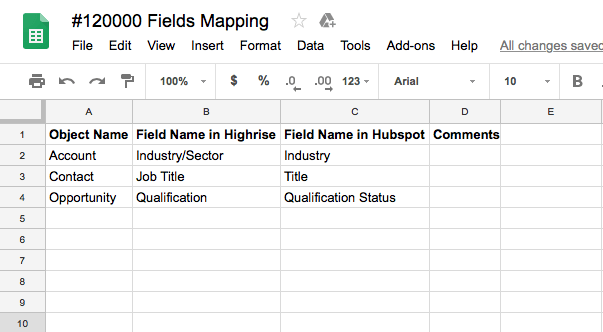 For example, if you have custom fields to map, you can compile the names of those and list them for us in our custom field mapping document. If you identify any other specific requirements you’d like implemented - for example, a filter of which records we import - you can reach out to us anytime via online chat and we can discuss the details and ensure all the requirements are properly documented before moving forward. If any questions arise during your review of the sample data, please reach out to us, either via the online chat or through the “Report an Issue” form on your import page. We are happy to troubleshoot with you if something did not import as expected, at no cost to you. Our reply time is typically within a few hours, and always within 1 business day. It is our goal that you can move forward with your import with full confidence. Once you know exactly what you need for your full import - whether that includes custom mappings or specific custom work or simply the standard import - you can select the package that suits your needs from your import page and purchase via credit card. 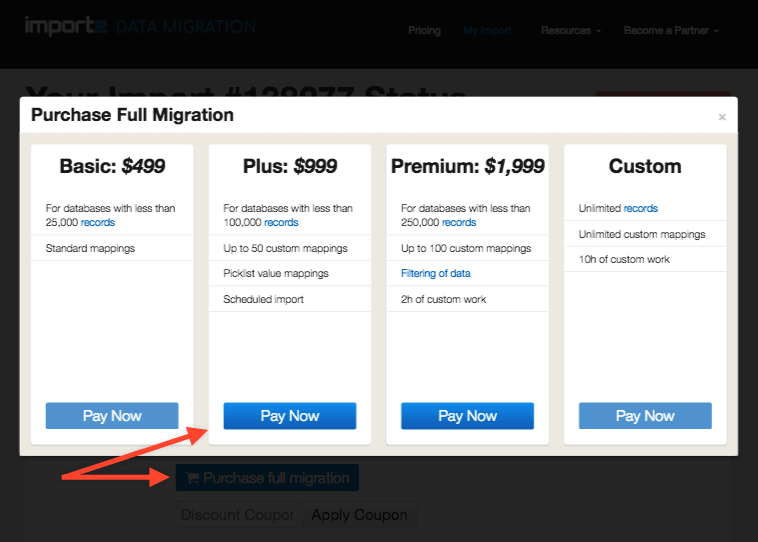 If you opted for the standard migration (no custom elements), then we will begin your import immediately after purchase. This means that we will remove the sample data and then start from scratch from the current dataset from your source database. The time it takes to complete the full import will vary depending on which tools you are exporting/importing from, but if you have any questions or concerns about the timeline, please send us a message and we’ll be happy to provide you with an estimated length. If your import includes custom mappings or any other custom work, we’ll begin work on a new sample for you. This means we will remove the free sample data, and import from scratch a new sample with the custom items applied so you may review and confirm everything looks as expected. Most custom samples are done within 1-2 business days. Once you confirm the new sample is good, we can initiate the full import anytime you are ready. Just email us or send us a message via online chat that you would like us to start! Remember, the time it takes to complete the full import will vary depending on which tools you are exporting/importing from. Please send us a message if you would like an estimated timeframe for your specific import. Once the import is complete, we’ll send you an email confirmation. If you know in advance that you would like to schedule your import to begin at a specific time, just let us know so that we can get that scheduled for you. Sometimes errors pop up which are simply a matter of differences in how your databases are structured or configured (these are called “data validation errors”). 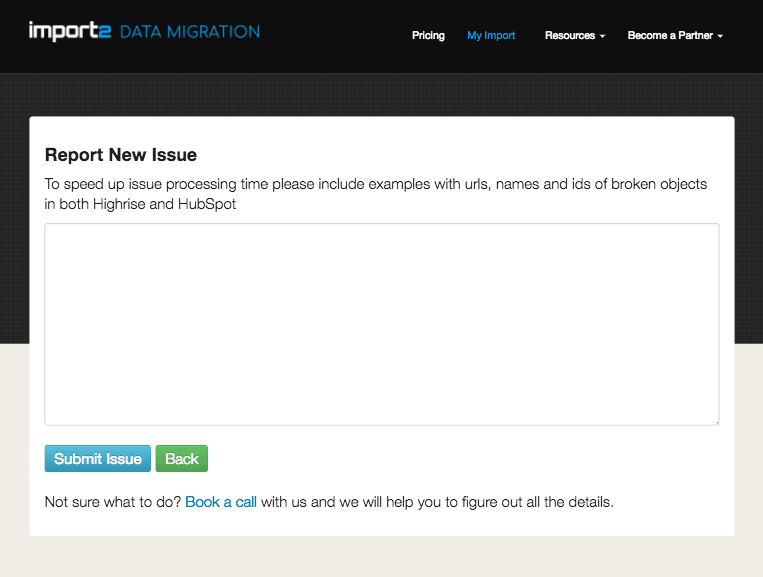 In these cases, we will provide the error detail on your import page in real-time as your import processes. We’ll also send you a full report at the conclusion of your import. 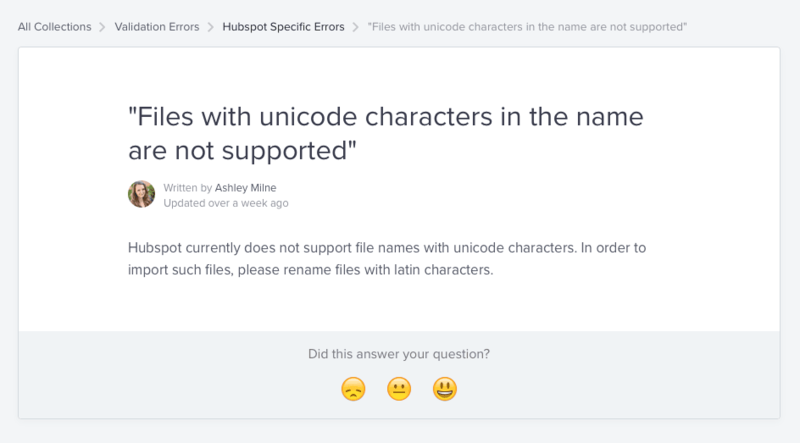 To help you resolve these, we provide the explanation and solutions for all errors in our help center. If you choose to fix any of the records in error, just let us know and we will retry them for you anytime.